I’d be interested to hear your thoughts. Seems relevant to this discussion. Alright. I’ll paint a picture. Imagine Apple makes a new Apple TV using the graphics capability smiliar to the 2018 iPad Pro. Now, at the launch event they’ll surely want to show off some launch games right? Enter Fortnite. Fortnite has been on iOS for a while now, and runs on phones as old as the iPhone 6S, and runs at 60 FPS on the iPhone XS as well as other similarly new phones. What has sparked my curiosity of possibilities though is that Fortnite recently added Bluetooth controller support. With that in mind, picture this. Now for those that know, Fortnite has ‘cosmetic items’ you can get in the game but some are exclusive. 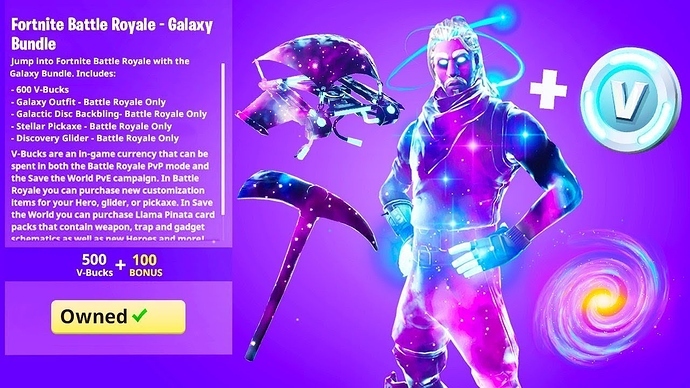 Best example is Fortnite had a collaboration with Samsung in which if you buy a Samsung Galaxy Note 9, you get an exclusive Fortnite cosmetic pack to use in Fortnite. Apple could do the same with the new Apple TV, at the event they announce the TV, talk about how far gaming has come on their devices, then announce the Fortnite launch on Apple TV, then demo it on stage with new Steelseries controller and finish it off with the ‘exclusive cosmetics pack’. current ATV often disconnects when streaming from my iPad. Annoying, and don’t know the cause - aside from the 3 Gen ATV no longer being supported making it unrealiable? I lost the remote (so use the ‘remote’ App, which is a bit of a pain). Not a good reason, I know. I use it a lot so wouldn’t hesitate to upgrade, but just reluctant to do so if a 5th Gen could be out this year. One possible way to justify buying now, is if there’s any reason why it might be an idea to have a second apple TV. 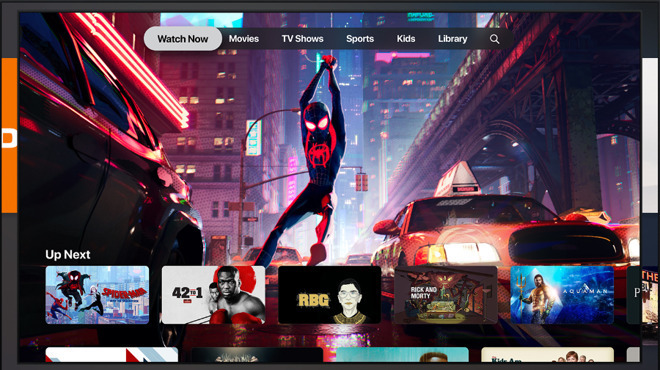 So you’d use the 4K Apple TV for now, and when a brand new one comes out you could use the 4K Apple TV as a separate rooms Apple TV. Or you could just sell it when it comes out. This applies with all generations of Apple TV, so buying a new one may not solve the iPad streaming problem. So improving the WiFi connection to the iPad by say repositioning the router can help a lot. An alternative from the dark side is to use a Chromecast (~$50 - $60). When you use your iPad to “stream” to a Chromecast, it does not actually stream via the iPad. The iPad sends a request to the Chromecast to directly stream from the internet to the WiFi router and down to the Chromecast. So, your router only carries 1X stream. In addition, once the stream is initiated, the iPad is no longer involved. I hadn’t considered local congestion, but that’s a good point., we have ours hardwired (as I do anything that I can) to avoid this issue. I have a high end Synology router, which while is in a cupboard as that’s where the NBN box is (rental property), it’s only a few meters from the living room with no wall. Hence it blasts out a strong signal with maximum bars to the iPad, TV, and ATV. The iPad measures the internet running at ~48Mbps and I’m able to stream 4K on the TV (eg Netflix). But when streaming from the iPad such as from eg from a video App, it often loses the ATV and I have to reconnect. I had assumed it was the ‘old’ ATV and a new model might be more stable, but yes it could be interference. SIf you have a 4K TV it’s an absolute no brainer. Get it and enjoy it now. Even if Apple did have a new one in the works, it won’t be released until September. Might as well enjoy it over winter. Price is an issue, eBay regularly has 10 or 20% sales and you can sometimes find Buymac participating. Hmmm, had been waiting on this Apple TV+ announcement in the hope of a Gen 6 ATV, but to no avail. There may be a new one ‘in the spring’, but the fact there was no suggestion of that, I now think there they may switch to the service being built into TV, rather via a new ATV device. Hence, there may not be any longer any new ATV’s. I think this screenshot says it all when comparing to the 3rd party TV’s which appear to have all of the new functionalities. there may not be any new ATV’s. why would there need to be? I haven’t caught up with all of the overnight news, but what leads you to suspect that new models are coming? What can’t the current models do? What can’t the current models do? I don’t see any third party TVs coming with an Ax SOC or an OS as “efficient” as tvOS. While there is a standard for plugin computing modules, I don’t see Apple providing an AppleTV in this format either. This would be great if it was an update that brought security + Airplay 2. I think if you’re after a new Apple TV every few years for gaming, you’re probably better off with an actual console. And the current Apple TVs already support AirPlay 2? Both the Apple TV 4K (previously known as the 5th generation Apple TV) and the Apple TV HD (aka 4th generation). Gaming isn’t the only reason, but it’s definitely an area in which it’s lacking even though they would certainly like it to be something you game on considering they display the Apple TV and Steelseries Nimbus controller side by side in their stores. It has the potential for some good gaming, especially since they removed the restrictions on controllers.